Spinning out of DC UNIVERSE: REBIRTH comes the newest adventures of Batgirl in BATGIRL VOL. 1: BEYOND BURNSIDE! Barbara Gordon’s heart belongs to Burnside, the ultra-hip Gotham City neighborhood. But some threats are bigger than Burnside. 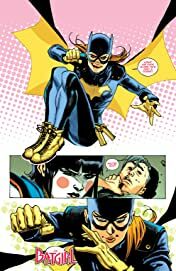 And when those threats come calling, Batgirl will answer! 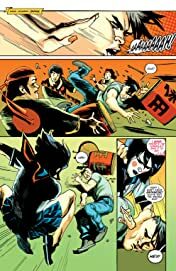 When Babs plans a trip to train with the greatest fighters in the Far East, she has no idea her vigilante life will follow her. 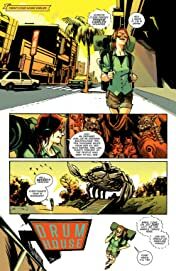 Lethal warriors are out to take her down, each bearing the mysterious mark of “The Student.” And where there are Students, there must also be…a Teacher. Batgirl’s quest to track down her enemies’ master will take her from Okinawa to Singapore to Seoul to Shanghai. Along the way, she’ll enhance her martial arts skills, and meet legendary heroes. 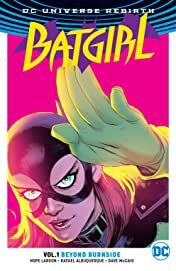 New York Times best-selling creators Hope Larson (A Wrinkle in Time) and Rafael Albuquerque (AMERICAN VAMPIRE) take one of Gotham’s greatest heroes on a whirlwind world tour in BATGIRL VOL. 1: BEYOND BURNSIDE. Collects BATGIRL #1-6.